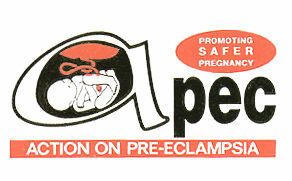 APEC was set up in 1991 to raise public and professional awareness of pre-eclamspia, improve care, and ease or prevent physical and emotional suffering caused by the condition. supplies a range of information leaflets for pregnant women, those who have experienced pre-eclampsia, and health professionals. A full information pack is also available at a small cost. supplements professional education with a continuing programme of conferences and study days. provides a helpline service offering confidential information and support. The helpline is available every weekday morning between 10.00am and 1.00pm. offers a Matchmaker Service for mutual contact between those who have experienced pre-eclampsia. provides ongoing support via a Befriending Service. members receive a thrice yearly newsletter and access to expert advice.